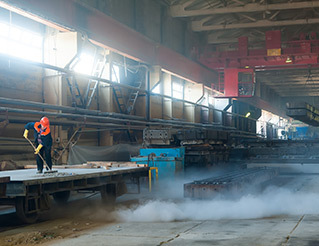 If you require a factory clean for your premises, our onsite or mobile teams can deliver an impeccable service to sites of any size. Factory cleaning can cover all areas of your facility, including floors, work surfaces and machinery, high levels and windows. We can also include the cleaning of any office spaces and staff canteens as part of your service. At DCS, we’re experienced in delivering factory cleaning to a number of specialist industries, including food production, engineering and pharmaceuticals. We therefore understand that you will have Health and Safety requirements in place for your site, and will adhere to all regulations set by you. We also supply all Risk Assessments and Method Statements for the work we do on your premises. At DCS Multiserve, we use the latest in cleaning technology and techniques and work in partnership with our equipment suppliers Nilfisk and Karcher UK to ensure we are constantly at the forefront of the market for commercial cleaning providers. This access to large industrial cleaning apparatus means that no job is too big and we can assure that are trained operatives are able to use the equipment in a safe and efficient manner, ultimately increasing productivity and creating a pleasant working environment for all your staff. To ensure a minimal impact on your business, work is undertaken at a time that suits your schedule. Our smart, uniformed operatives can visit at a time of your choosing, including during outage or factory shutdown, to ensure that production can continue without being affected. All work is done using the latest cleaning technology, to guarantee a superior and hygienic clean during every process. 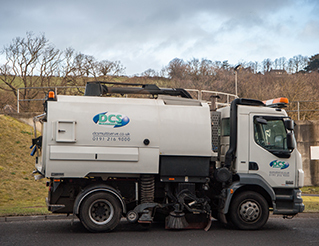 To discuss all your factory cleaning requirements further, or to arrange an on-site visit from one of our dedicated team call our Head Office on 0191 216 9000 or email enquiries@dcsmultiserve.co.uk.